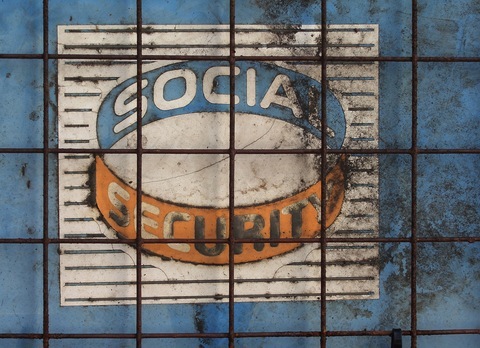 How Underfunded is Social Security and How Might It Be Fixed? Social Security expert Larry Kotlikoff makes the case that the program is $220 trillion in the hole. Counter-expert Alicia Munnell disagrees, and shows how little it would take to fill the hole. Photo by Flickr user Fabricator of Useless Articles/Creative Commons. Stephanie Rosen — Bronx, N.Y.: None of the NewsHour’s recent panel of economists seem to consider the most sensible “cure” for Social Security: RAISE the income level on which Social Security is levied (as the New York Times’ recent editorial recommended). Isn’t this the fairest method? Those who are fortunate enough to make higher salaries can likely afford to pay Social Security tax on their higher incomes more readily than every worker having a higher percentage deducted from their salaries for Social Security. Larry Kotlikoff: I assume you’re referring to this discussion on the NewsHour in mid-April. I cannot, of course, comment on why the various panelists did not comment on your (and the Times’) supposed fix for the huge Social Security shortfall as we move ahead in time. However, I can comment on it myself — and have. In fact, your question has been posed before on The Business Desk. Please see this column: “Why Not Raise the Social Security Payroll Ceiling and Other SS Questions”. The essence of my answer was and remains simple: raising the ceiling on taxable earnings for Social Security would cover only about 60 percent of Social Security’s long-term funding shortfall, using an infinite time horizon. Also, the system is already more progressive than most people realize due to its highly progressive benefit schedule. So looking just at the highly regressive nature of the tax itself is not quite fair to high earners. Whatever one thinks about fairness to high earners, a discrepancy between Larry’s numbers and the others’ needs to be explained. Most people project the Social Security deficit no further ahead than to 2075; at the outside, to the next 75 years. Larry projects the shortfall from here to eternity. His calculation of the deficit is therefore larger than the number others come up with. As a result, by Larry’s reckoning, removing the ceiling on taxable income would presumably (or conceivably) cover less of it. Paul Solman: When Larry Kotlikoff says that we have a shortfall in terms of what we promised and what we are going to take in of something like $220 trillion dollars, if you buy that number or even if it’s a lower number, this is still a drop in the bucket? Alicia Munnell: So when I’m talking about Larry Kotlikoff, whom I love, I need to separate some things that I agree with him on and some things that I don’t agree with him on. I agree with him that the effect is small but I think going around and using this $200 trillion dollar number is not very helpful at all because big numbers happen over a long period of time and other stuff also happens over a long period of time. Paul Solman: Changes, you mean? Alicia Munnell: We have benefit commitments, but we also have people earning longer and payroll taxes being paid for longer and perhaps at a higher rate. I find the most useful way to think about the deficit to Social Security is in terms of the payroll tax. So, how much would the payroll tax have to be raised to solve the problem for 75 years, which is the Social Security’s planning horizon, and how much would it have to be raised to solve it for infinity? And for 75-year time horizon, the number is 2.36 percent. Paul Solman: So right now the payroll tax for Social Security is 12.5 percent, split between employer and employee. So it would have to up to something like 15 percent? Alicia Munnell: Yes. Half. Right. So that’s 1.2 percent more from you and 1.2 from the employer. Now think about that number. We recently had a payroll tax cut of two percentage points and I couldn’t even tell. And then they raised it again by those same two percentage points and again I couldn’t tell. I think some low earners felt it, but there wasn’t jubilation when it happened and it wasn’t cataclysmic when it went back. From the employee’s perspective, the change that we’re talking about is half of what we just went through in terms of this payroll tax cut and then increase. And that’s if you say I’m going to solve this whole problem just by raising the payroll tax. If you do anything else — raise the taxable wage base or do any number of things — the amount you need to raise from the payroll tax becomes smaller. I think that’s a more sensible way to think about Social Security’s finances than this $200 zillion trillion dollar shortfall. To be fair, 75 years is only part of the story because we have an increasing ratio of retirees to workers and so when the 75 year period moves forward, you lose a year of surplus, you pick up a year of deficits. So if you just solve the problem for 75 years, it’s not enough. To really solve it, you’ve got to have something like a 4 percent increase in taxes, 2 percent for you, 2 percent for the employer. But it I think solving it for 75 years would be just fine and all those numbers are manageable. Larry Kotlikoff responds: First, the infinite horizon projection is not my number. It’s calculated by Social Security’s Office of the Actuary and reported each year in table IVB6 of Social Security’s annual Trustees Report. Second, I love Alicia at least as much as she loves me. But she surely knows that there is no economic basis for looking out any fixed number of years and saying that’s far enough. The reason economic science doesn’t let us look out just 75 years is not only that it ignores the benefits Paul’s grandchildren are being promised. The real reason is that nothing in economic science pins down how governments must label annual receipts and payments. Consequently they have complete leeway to choose accounting that pushes recognition of the underlying problem into the distant future while not changing the problem whatsoever. The infinite horizon Social Security shortfall does not suffer from this problem. Moreover, looking out just 75 years repeats the sin Alan Greenspan committed back in 1983 when he and his famous Greenspan Commission claimed to fix the system for good. As you may have noticed, they didn’t. Jim, Inglewood, Calif.: My partner’s mother is an unemployed 62-year-old divorcee. She is bilingual and used to work as a travel agent and has been trying to find work for the last three years — without success. She has no income, no savings, no car and no retirement and is currently sleeping on our couch. I was told that she can take early retirement from Social Security based on her earnings, and then, when she turns 67, she can switch to her former husband’s Social Security. Her former husband had a much higher income and he is currently 58 with no plans to retire early. Is that a possible solution for her? Larry Kotlikoff: Not a fun scene. Your partner’s mother can begin her retirement benefit now and when her ex reaches age 62, she can collect an excess spousal benefit based on his work record. Given that she is otherwise penniless, this is probably the best strategy. Herbert King: I will be 62 on Oct. 8, 2013. When can I apply for my Social Security? 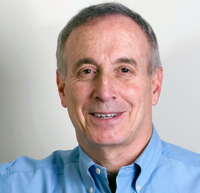 Larry Kotlikoff: You can start collecting your retirement benefits when you reach age 62, but please realize: they will be only 75 percent of what their value would be were you to wait until full retirement age, which is 66 in your case. And they will be roughly 57 percent of what they’d be were you to wait until 70 to collect. Laura Kaplan, Northport, N.Y.: My husband and I lost everything during the economic downturn of 2008-2009. He has been sick for a few years and is now residing in a nursing home. He is 77 and I am 59. It took over a year to get him on Medicaid. He was already receiving his Social Security. The Social Security checks are still being deposited every month into our joint account. I called the nursing home and was told that his costs are now covered by New York Medicaid. Does this mean I can keep receiving his Social Security checks? Why would they keep sending them to our account if they are supposed to go the nursing home? Larry Kotlikoff: I am terribly sorry for your situation. Life, as we just saw in Boston, is a terrible game of roulette — Russian or American — and we can only survive by grasping at momentary joys, no matter how small. I am surprised that Medicaid is not taking your husband’s Social Security check to pay, in part, for his nursing home costs. I think you had better check with Medicaid. I wouldn’t advise taking the risk that they’ll surprise you one day with an unmanageable bill for past overpayments.